Give your wall décor the rustic vibe of nature when you hang this beautiful, barnwood brown picture frame in your space. 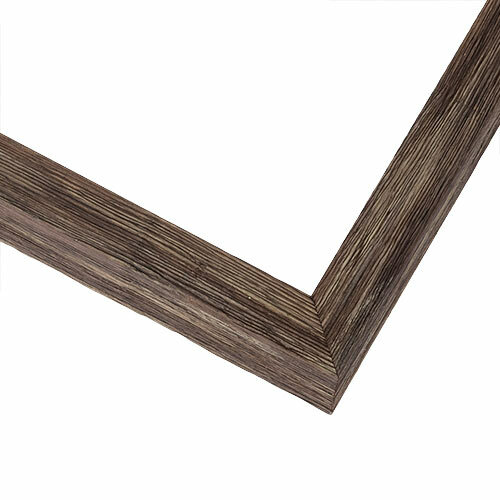 You’ll find an undeniable charm waiting in the grooves and knotholes carved into the thin, flat profile that give this frame a weathered, farmhouse feel. With a flat profile and deep rabbet, you’re not likely to find a more pleasing, eco-friendly choice for a landscape paintings, canvas prints, and nature photography.